Why we wish we got invites to ‘The Last Ever After’ Book Launch Party – MP! 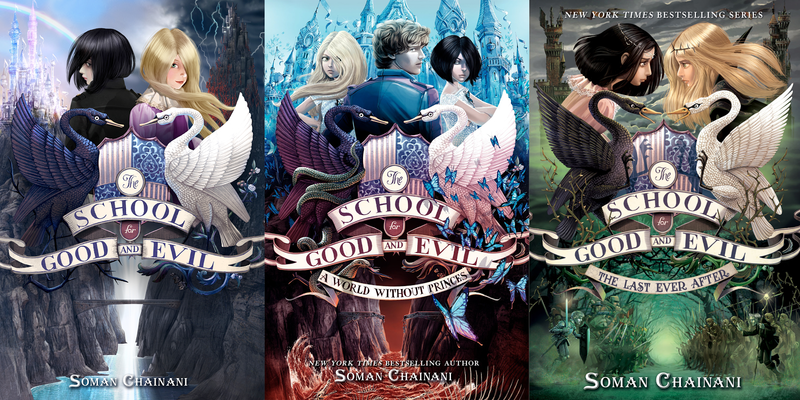 If you’ve got a thing for fairy tales, then allow us to point you in the direction of Soman Chainani and his wonderful trilogy, ‘The School For Good and Evil’. With characters like Cinderella and Pinochio making appearances and a brand new magical world to sink into, we think it’s a must for all you fantasy lovers. Recently, ‘The Last Ever After’ was released, sadly bringing this compelling series to a close – but not before its amazing launch party made our toes curl with envy. Ever Never TV, the official channel for ‘The School For Good and Evil’, aired its fifth episode recently, giving us a taste of what it would have been like to have been invited to the state-side bash. We’re not sure what we were more envious of – the yummy cupcakes, the chance to make your own tote bag, the rows of ‘The Last Ever After’, or maybe just getting the chance to hear Soman Chainani chat about his book in real life. Check out the video to find out which of Chainani’s characters he believes he is most like – plus, the encouraging words his father offered him when he first got published. Sort of. Previous article QUIZ: Ever wondered which 1D dance move you are? Find out now. Tom Ford have 3 new lipstick shades: Malik, Louis and Liam – we’ve come up with colours for Narry.